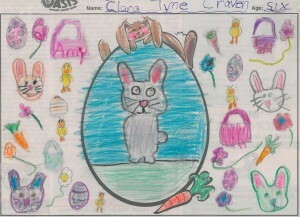 The Sun is proud to announce its winners for the Spring Fling Coloring Contest. Published in all 10 of our newspapers, children from around South Jersey and Princeton colored the Easter bunny and an egg and sent their creation to us. In total, we received 156 entries! Winners of the contest received a four-pack of tickets to Sahara Sams! The winners for Moorestown are Jaxon Marett, 4, Clara Tyne Craven, 6, Olivia Parkinson, 10, and Lacey Kochula, 9.